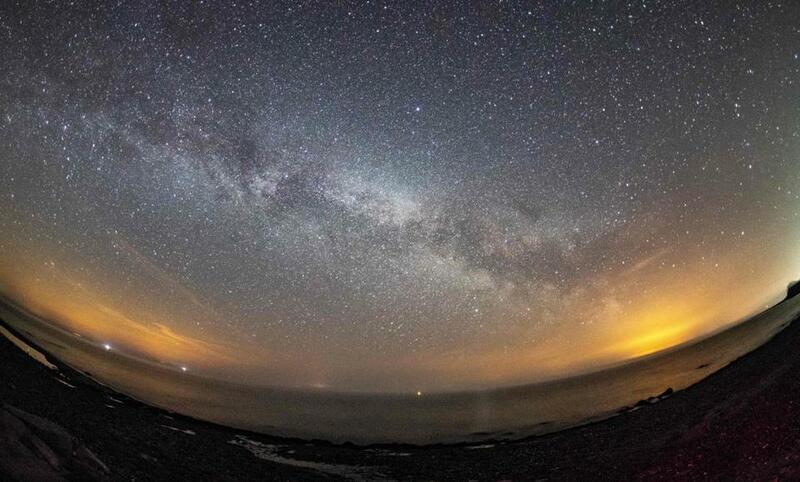 The milky way and meteors of the April Lyrids annual meteor shower are seen in the night sky over Burg auf Fehmarn on the Baltic Sea island of Fehmarn, northern Germany, on April 20. 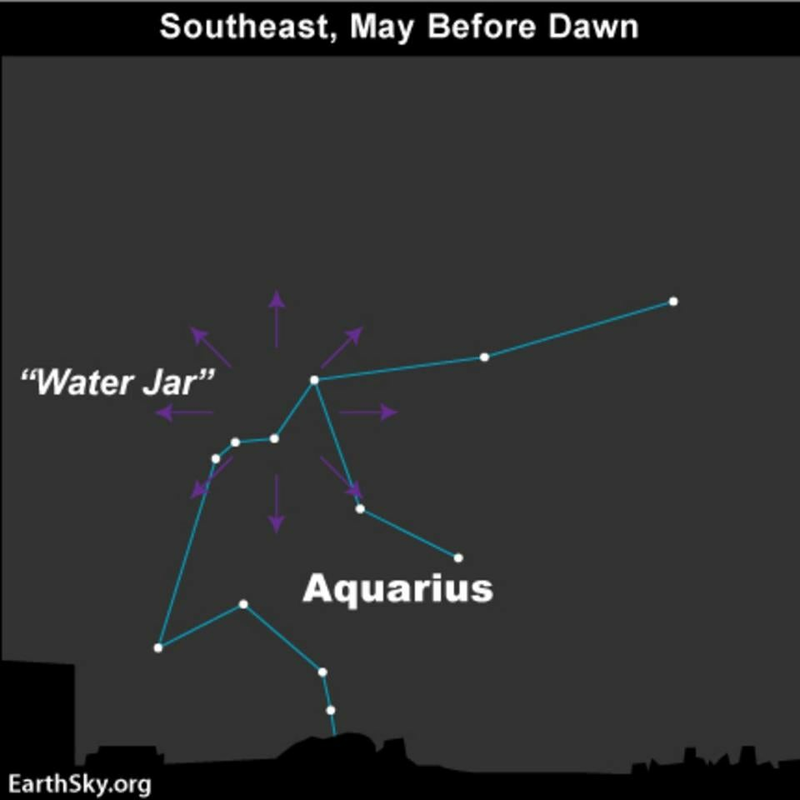 The Eta Aquarid meteor shower is expected to start its peak around Sunday, and the weather should cooperate at least most of the time. These meteors are small chunks of rock that have come off Halley’s Comet, which won’t be back until 2061. But its debris can be seen this weekend. The debris burns up upon entering our atmosphere, creating streaks of light that we call meteors. Meteors move fast, speeding through the atmosphere at about 30,000 mph. They are also hot, reaching temperatures of 3,000 degrees. Most meteors are very small. Many are just about as small as a grain of sand, and they disintegrate on their way through our atmosphere. Much less common are meteorites, which are larger, stay intact, and make it to the ground here on Earth. The meteor shower this week is particularly great for the Southern Hemisphere, where up to 60 meteors per hour are visible, but here in New England, we could see 10 to 30 meteors per hour. 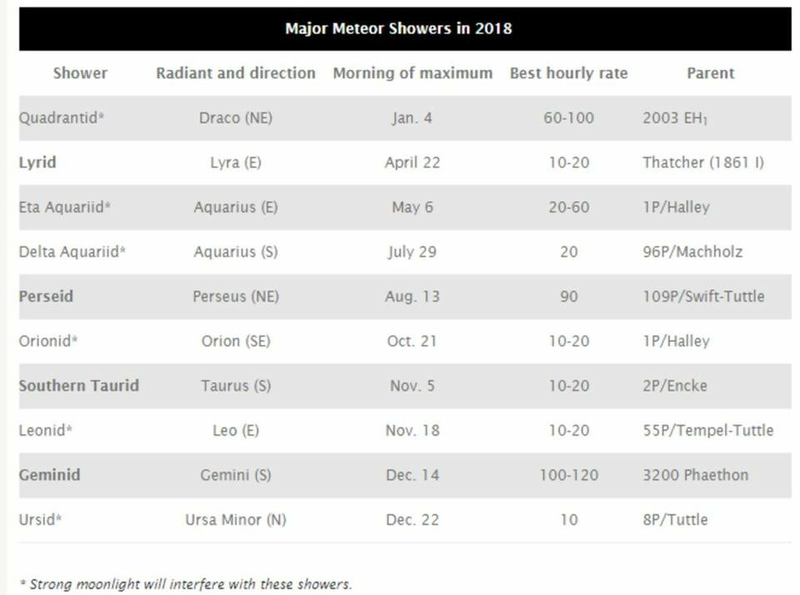 Meteor showers tend to last for a week or more, but there’s always one or two days where there’s an official peak of sorts. This year, the peak is centered around May 6. The best time to watch the meteors is usually in the pre-dawn hours. However, once it gets dark, there can be a few meteors. Of course, you’ll need clear skies, or at least mainly clear skies, to see the meteors. Clouds early Sunday in New England will likely hamper the viewing of the meteor shower, but there should be better conditions early Monday and early Tuesday. The name of this meteor shower, like many meteor showers, originate from where they appear to emerge in the sky. The Eta Aquarid meteors look as though they’re immolating from the constellation Aquarius. When viewing a meteor shower, it can take up to 20 minutes for your eyes to adjust to the darkness, so plan to spend some time outside if you want the best viewing opportunity. The best way to view the meteor is lying flat on the ground. While sitting in a chair can also be efficient, I’ve found that you end up missing some of the streaks across the sky behind you. This is the last meteor shower until later this summer. There is a minor one in July, but we really have to wait until the Perseids of August for the next big show. If you don’t want to get up in the middle of the night to see the meteors, there are other celestial objects to view this week. 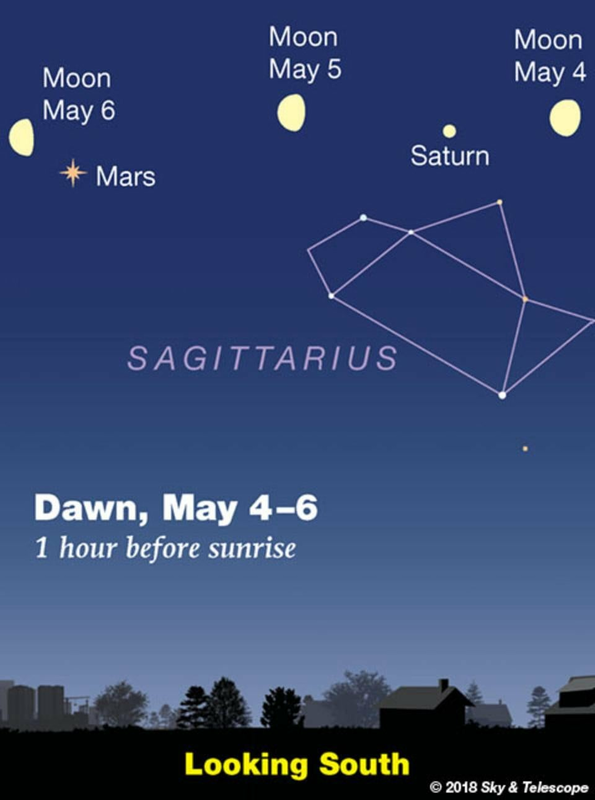 Mars and Saturn steal the show just an hour before sunrise. 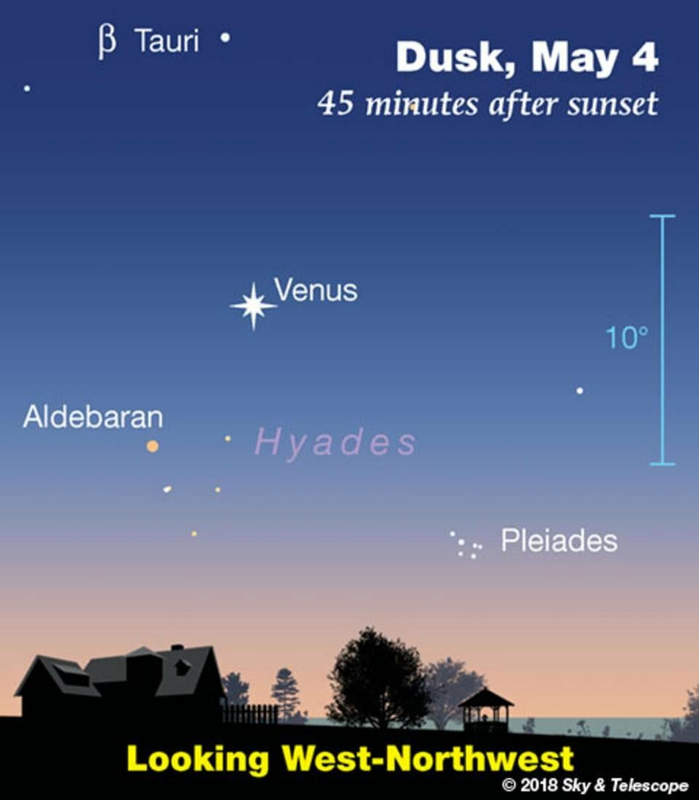 Check out Venus at dusk. It’s the brightest object in sky at that time. Follow Dave Epstein on Twitter @growingwisdom.